Last weekend was the Ukrainian DX Digi contest and I intended to run for a while but not make a serious entry, I’d decided to do a single band for a few hours. The contest started at 13:00 local time and I kicked off using PSK63 which turned out to be a good choice because the band was nicely busy and over the first two hours I averaged around 65/hour. I switched to RTTY for a while and my rate slowed dramatically leaving me with 190 QSOs after four hours. I took a break of nearly three and a half hours and then started operating again, my plan was to run for another hour or so and then call it a day but things were going well so I had a look at the previous years results and the highest number of QSOs made in the last eight years in the group I was planning to enter was last year at 545 with some years being a lot lower. That started me thinking and I realised that I should be able to beat that with ease so I carried on operating into the night. Things slowed down a lot as the night ran on and at just after 04:10 local time my KK7UQ IMD meter started beeping at me. 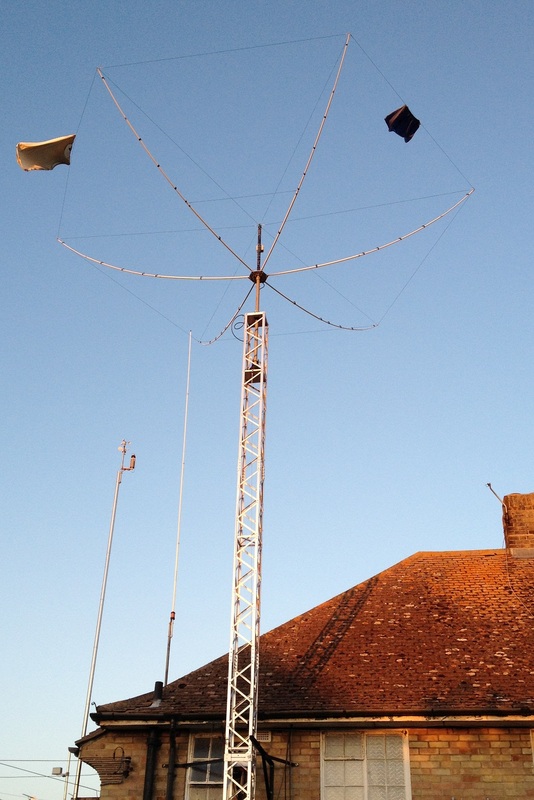 I stopped calling CQ and checked the VSWR of my aerial, it was jumping around from 1.6:1 to over 2:1 when I was expecting it to be about 1.4:1 as it had been all the while. I went downstairs and stuck my head out of the back to find a couple of things. 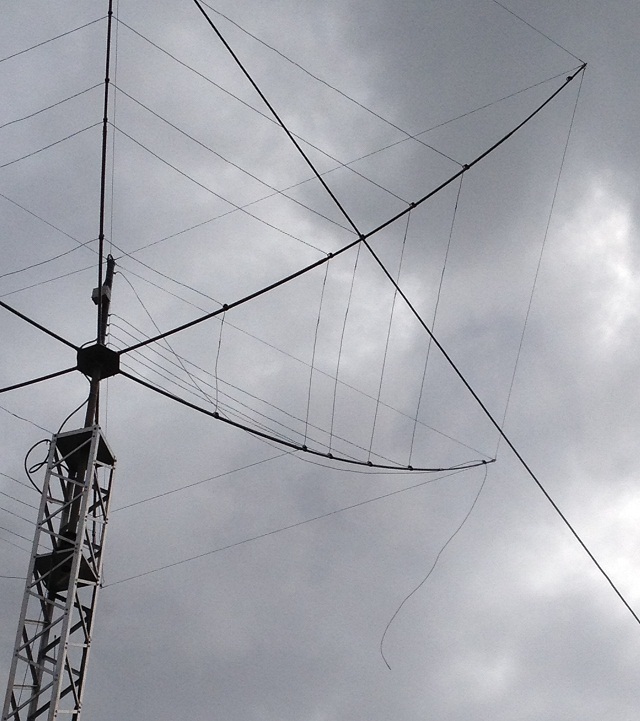 It was chucking it down with rain and the 20m element on my Hexbeam was broken and dangling downwards, here’s how it looked. My contest was over. I allowed the amplifier to cool down for a few minutes before shutting everything down, sending an email to the aerial supplier and going to bed. It happened right as I was hoping for some grey line propagation to kick in as the sun was just coming up. I ended up with 343 QSOs which is a respectible figure but not enough to win. The station who has won the group quite a few times was on over 350 QSOs when I was around 270 so if he’s in the same group this year then he’ll have beaten me. I can hope that perhaps he’s in a different section this year. Overall conditions were poor with only a few QSOs outside Europe. I was called by BG8GAM, VK3FM, HK3Q and XE1GZU but they’re the only notable exceptions to a quite unimpressive log. It turns out that the problem with the aerial is known about, it’s a combination of QRO data at high duty cycle for extended periods of time in the rain. I was running 400 watts of either PSK63 or RTTY from 13:00 until 04:00 with a break of three hours in the afternoon so I’d been on for nine hours continual operation when it failed and was calling CQ for eight seconds or so, followed by a five second pause and then another CQ call so the situation exactly suited the conditions I’ve described above. The voltage present at the ends of the driven element arcs over and melts the separator cord under wet conditions when using high power. Yesterday (on the anniversary of my near lightning strike) myself, M0YNK and G0MBA removed the elements and sent them off for replacement. A new set of elements, modified so this shouldn’t happen again arrived today and as soon as there’s a gap in the windy weather we’re currently experiencing, I’ll put them on. My aerial is currently sitting on top of the mast with no elements but that doesn’t mean it’s not being used! 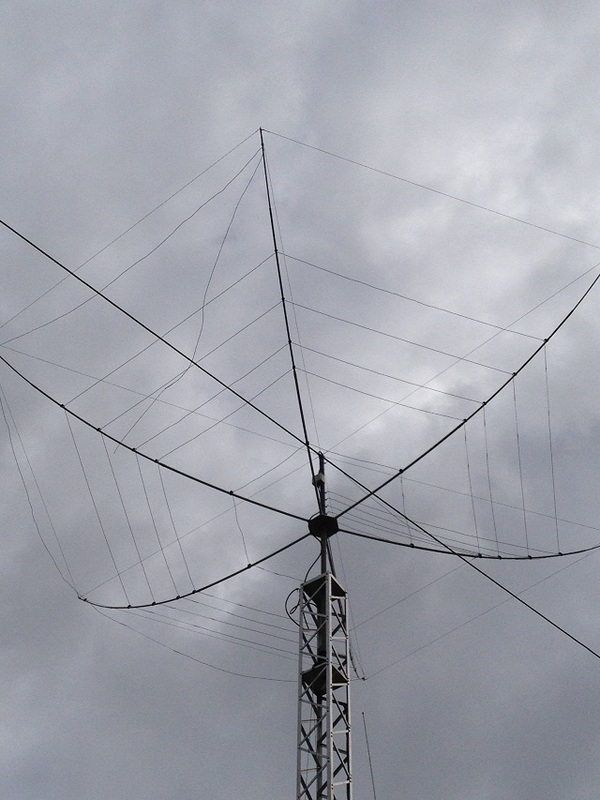 This entry was posted in Amateur radio, Broken aerial and tagged Broadband Hexbeam. Bookmark the permalink.